Dr. Jeffrey Balazsy is a board-certified orthopedic surgeon who has been practicing for over 20 years at the highest level. Dr. Balazsy is considered a local hero by both residents and the media in Mount Clements, MI where he saved a patient from an scheduled amputation and helped him to walk again. This particular case was picked by Detroit Local 4 WDIV as seen in the video below. Dr. Balazsy graduated from the Northeastern Ohio University College of Medicine in 1995. He then completed his residency at Beaumont Hospital Royal Oak Campus in Michigan. In 2001, he completed his fellowship training in Metrohealth Medical Center / Case Western Reserve University. He specializes in all orthopedic conditions and injuries and some of his orthopedic procedures include limb salvage, periarticular (joint) fractures, pelvis fractures, malunions, nonunions, osteomyelitis, children/adolescent fractures, post-traumatic deformity, bone lengthening, joint replacement (shoulder, elbow, hip, knee), foot and ankle fractures, ankle replacement, joint revision surgery, among many others. 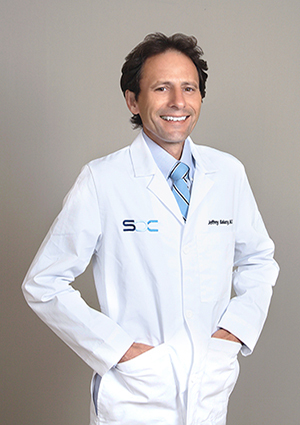 A renown physician and highly regarded among his peers due to several high profile and innovative procedures, Dr. Balazsy has been featured in several international conferences and participated in several publications. His most recent publications include “Capture of Percutaneous Locking Screws” and “Talus Fractures: Evaluation and Treatment”. Dr. Balazsy is fluent in English and Hungarian. In his leisure time, he enjoys spending time with his family as well as fishing, reading and gardening which he finds therapeutic and soothing. Dr. Balazsy is currently seeing patients in any of our four offices in Broward and Palm Beach. To schedule and appointment with Dr. Balazsy, please contact us at 888-409-8006. 2012, 2013, 2014, 2015, 2016 recognition by Vitals.com. 2015, 2016 choice award by Vitals.com.